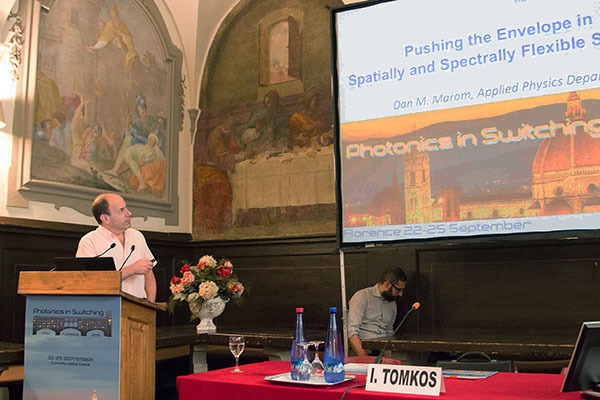 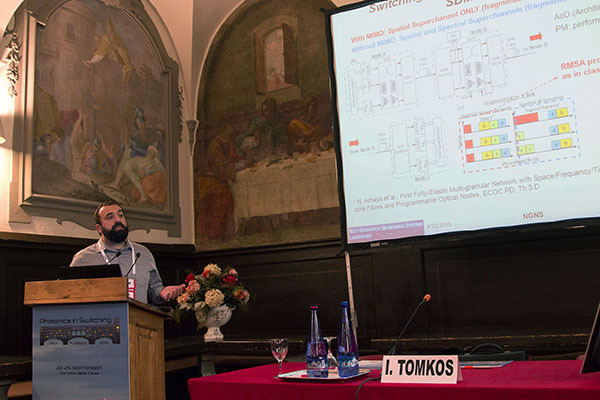 The workshop was organised by prof. Ioannis Tomkos (AIT) and prof. Dan Marom (HUJI) as part of the Photonics in Switching 2015 conference in collaboration with the project INSPACE. 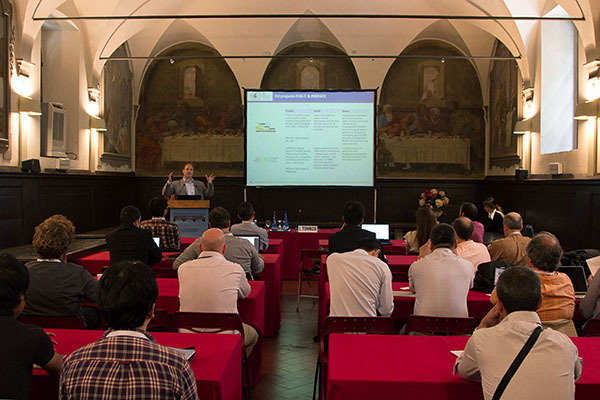 The conference took place in Florence on September 22-25, 2015. 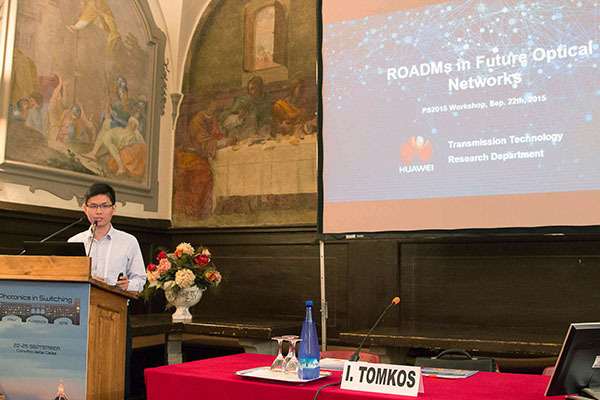 The traffic carried by core optical networks as well as the per-channel interface rates required by routers are growing at a remarkable pace of typically between 30 and 60% year-over-year. 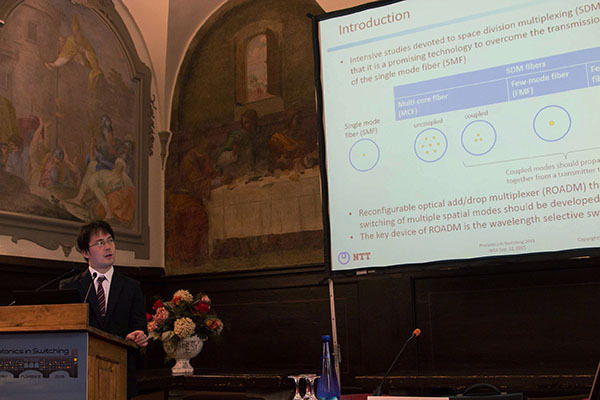 Optical transmission and networking advancements have so far satisfied these traffic requirements by delivering the content over the network infrastructure in a cost and energy efficient manner. 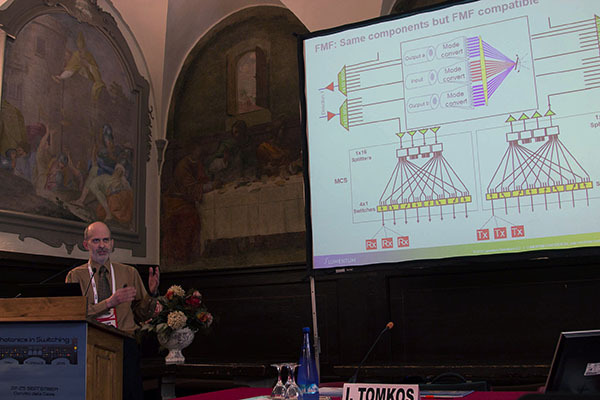 However we are approaching fundamental spectral efficiency limits of single-mode fibers and the growth capabilities of conventional WDM networks operating on a fixed frequency grid are quite limited. 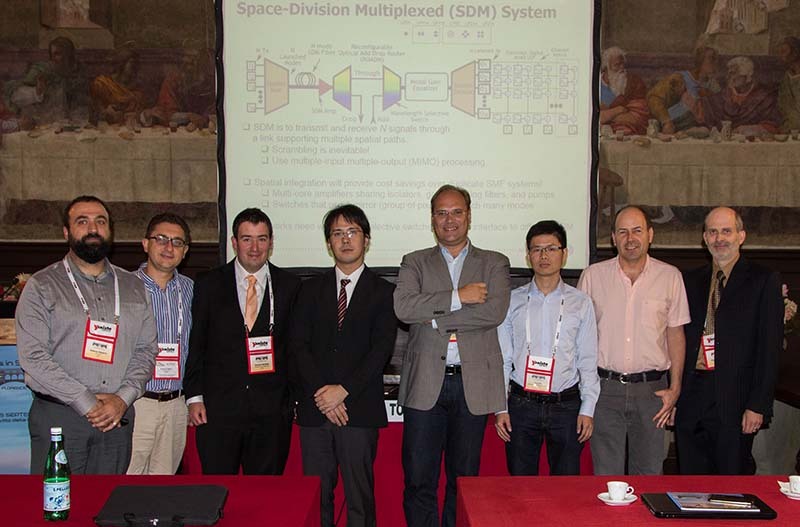 New optical networking solutions need to be identified to resolve this situation. 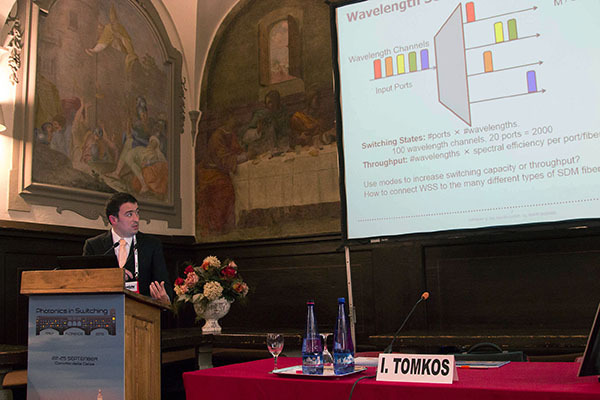 This proposed PS'15 Workshop aims to provide a forum where experts from all over the world will provide to the audience a comprehensive overview of the state-of-the- art for "Photonic Switching Systems in support of Spatially and Spectrally Flexible Elastic Optical Networking". 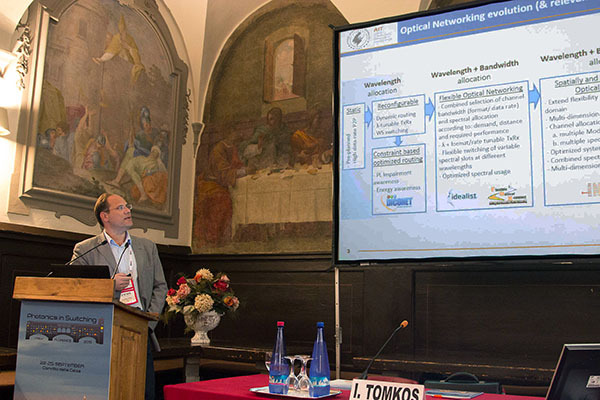 The talks will provide information about the current research challenges and directions as well as insights into the projected commercial needs for this emerging scientific area of optical networking. 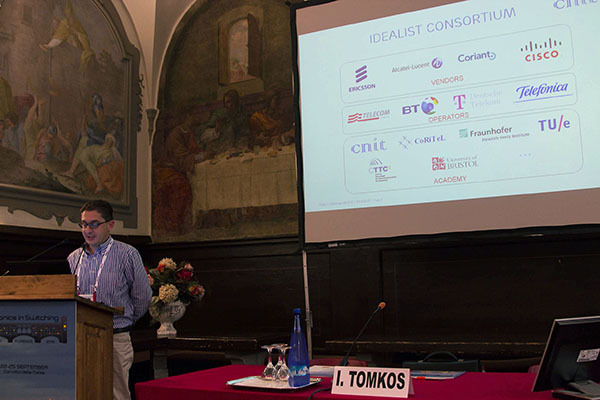 The symposium on these topics is expected to attract many participants who will engage also in lively discussions with the speakers and panelists.